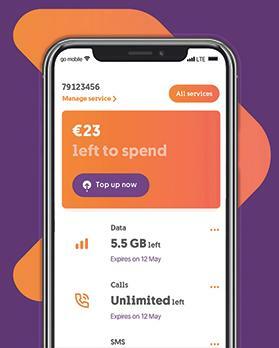 GO just launched its brand-new mobile app that allows customers to pay bills, check their balance, top up their account, and view their plan and bundle subscription, among a whole host of other features, through one single interface. Additionally, to thank its customers, GO is also offering an immediate additional 10GB of free mobile data that can be activated through the app. The app is available for download from both Apple and Android devices by searching ‘GO Plc’. “We are on a journey to place the customer at the centre of everything we do at GO. We are working tirelessly to digitise our services and improve our customer experience. This is just the beginning,” said Nikhil Patil, chief executive officer. ‘‘GO App is the first step in enhancing our digital connection with our customers. It gives transparency, flexibility and control of multiple accounts and features to the customer with just a few buttons,” said Antonio Ivankovic, chief customer experience. “The app user interface was designed based on customer feedback and is focused on intuitive and straightforward navigation. The GO App will be constantly updated, with new features being added, in particular, those suggested by the customers themselves will be given top priority. It will also complement MyGO, allowing a comprehensive range of self-care services from the comfort of one’s home,” he added. “We are complementing our efforts to improve our communication with customers with new and simplified products that have pushed mobile data allowances to new heights. Our improved Home Pack, double data allowances, a nationwide 4.5G network will allow our customers to continue to consume the online content they love, to be connected and stay connected, hassle free, with absolute peace of mind, at prices that are affordable,” concluded Mr Patil.